"Skully Serves will be recognized as an active nonprofit organization dedicated to helping others and encouraging our youth to serve and stay actively and consistently involved in volunteerism." Our vision at Skully Serves is to show that volunteering is exciting, gratifying, and advantageous. 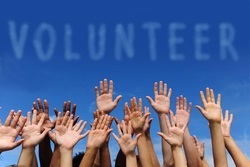 Unfortunately, volunteering isn't necessarily considered a "cool" hobby to have. It usually has a bad connotation, mostly associated with bad behaviors resulting as punishment from the court system. Our goal at Skully Serves is to completely reject any association with the prior statement. We want volunteerism to be synonymous with fun. Moreover, we want to show teens that volunteering IS enjoyable and more so important for our well being. We will incorporate Service Learning into each community outreach. Each outreach will contain a moment of reflection, which will teach teenagers the importance of the service they are committing, who it impacts, and how they have made a meaningful stamp on their peers and community. They will analyze, evaluate, and reflect on the significance and impact of their personal roles within their community. Skully Serves will operate on a regional, national, and international level with relevant outreaches spearheaded across the world. Outreaches will coincide with artist's touring schedule which will allow us to reach people nationwide as well as internationally. We will provide counsel and guidance for students interested in starting Skully Serves chapters in their high schools and on college campuses. Moreover, we will give away collegial scholarships as a reward to young people for taking charge and transforming their communities. Our wish is that teenagers will feel compelled to perform acts of service consistently. Our wish is that the music scene will embrace this movement and that artists will do their part by helping to raise awareness as well as volunteering in the community outreaches. We hope Skully Serves strikes an active chord within our young people. Rather than passively sympathize with a problem or cause, teenagers will find a solution and take action. We want to instill the importance of volunteerism into the forefront of teenagers' minds where they feel absolutely compelled, responsible, and eager to maintain an active role in their community.